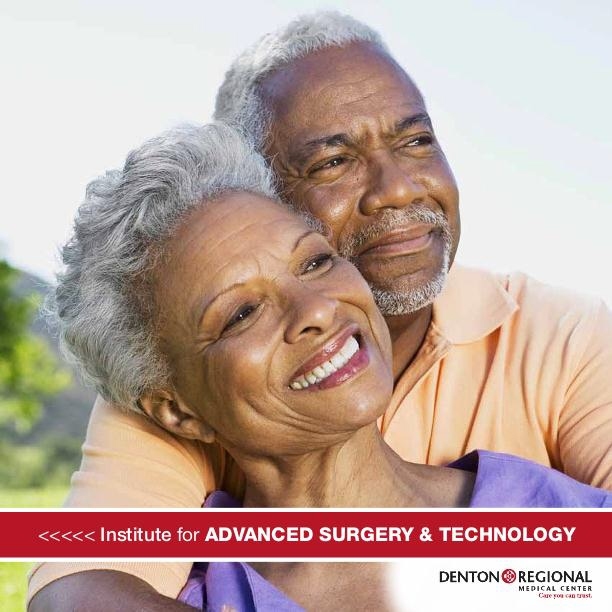 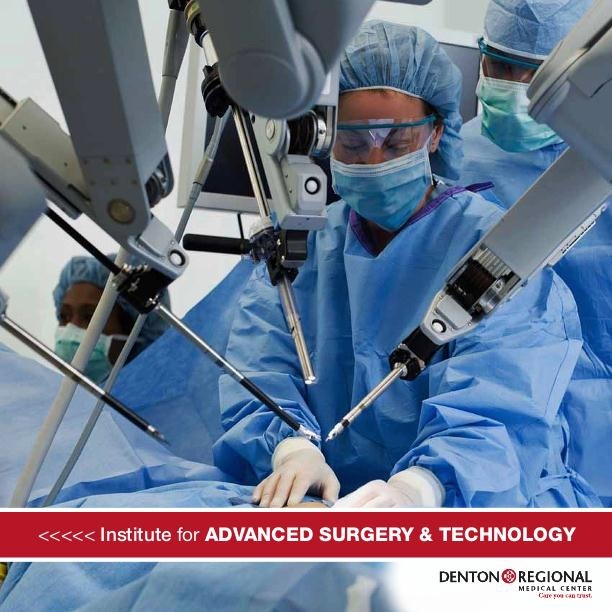 Institute for Advanced Surgery & Technology: Denton Regional. 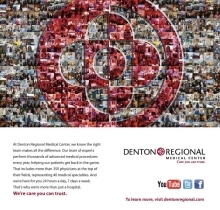 November 2011-March 2012. 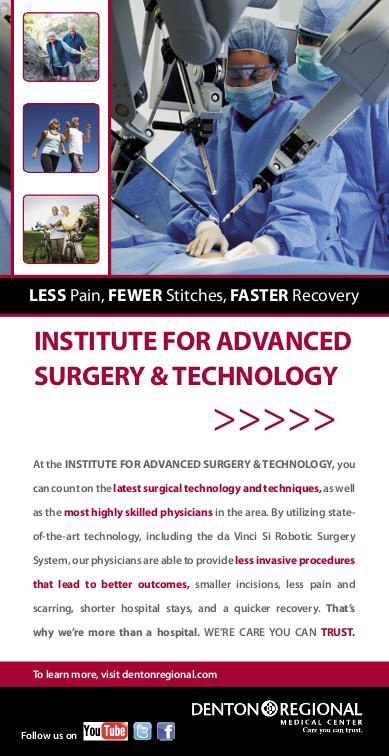 Ad- Institute for Advanced Surgery & Technology - Overarching Image Ad for the Institute for Advanced Surgery & Technology. 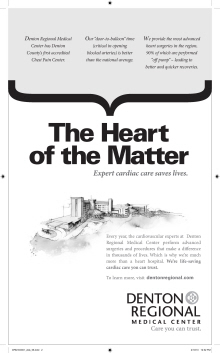 Future pull-out ads for individual service lines are planned. 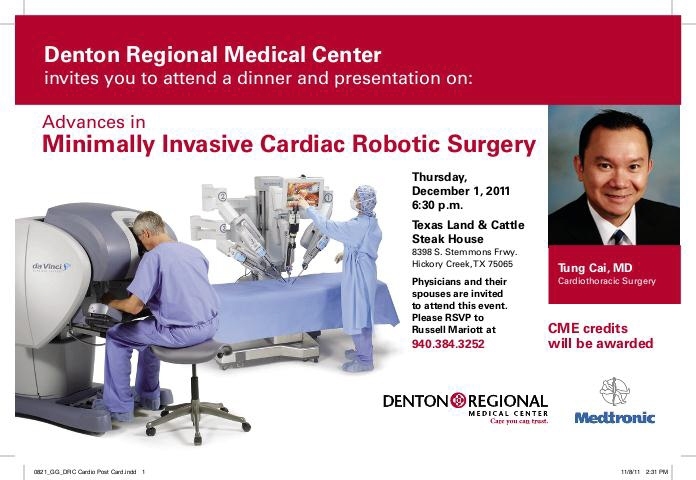 Cardiac Robotic Surgery Seminar Postcard - Direct mail piece sent to referring physicians to promote a physician seminar on new procedures available in minimally invasive cardiac robotic surgery. 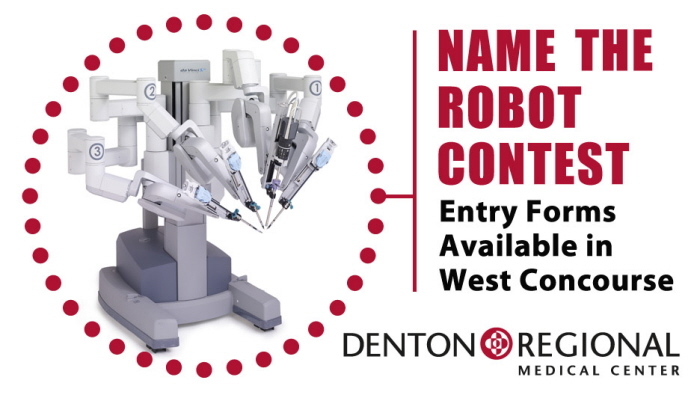 Ad- Name the Robot - See PDF for full design. 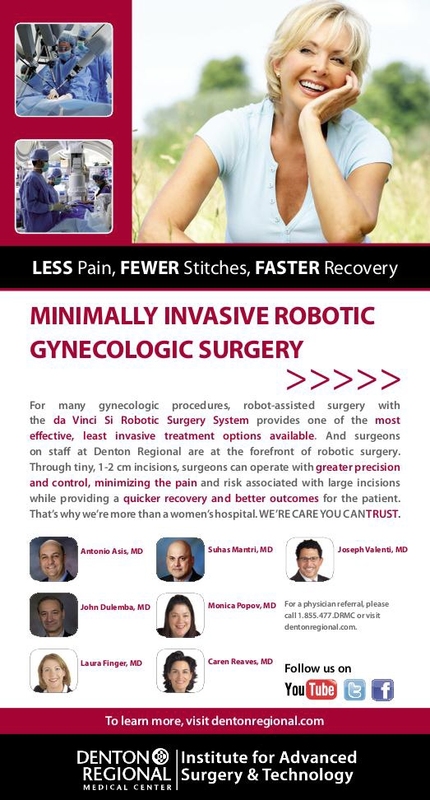 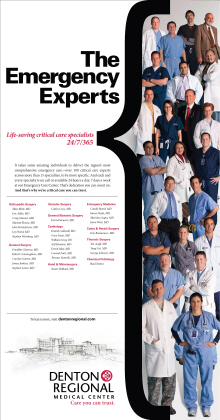 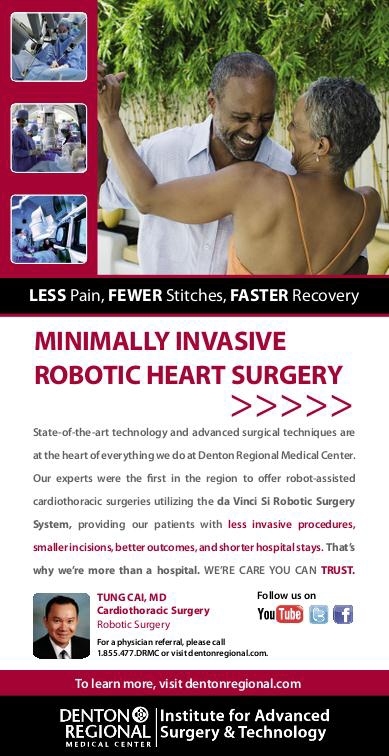 This advertisement was used to create awareness about our new da Vinci robot and advanced surgical options using the technology. 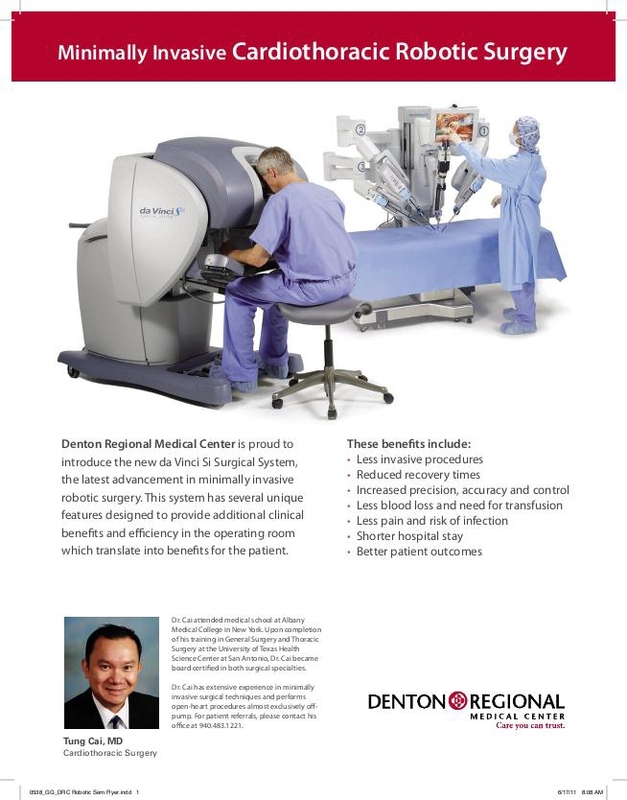 Printed in local papers, as well as a special newsprint edition distributed to K-5 grades in the Denton ISD. 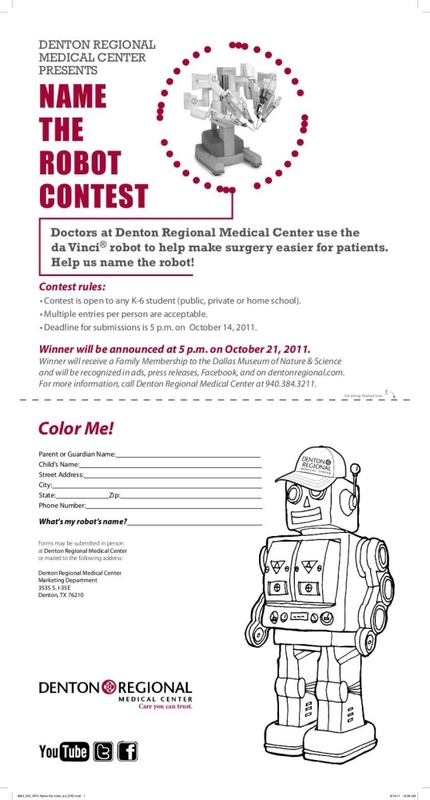 Ad- Name the Robot Winner - See PDF for full design. 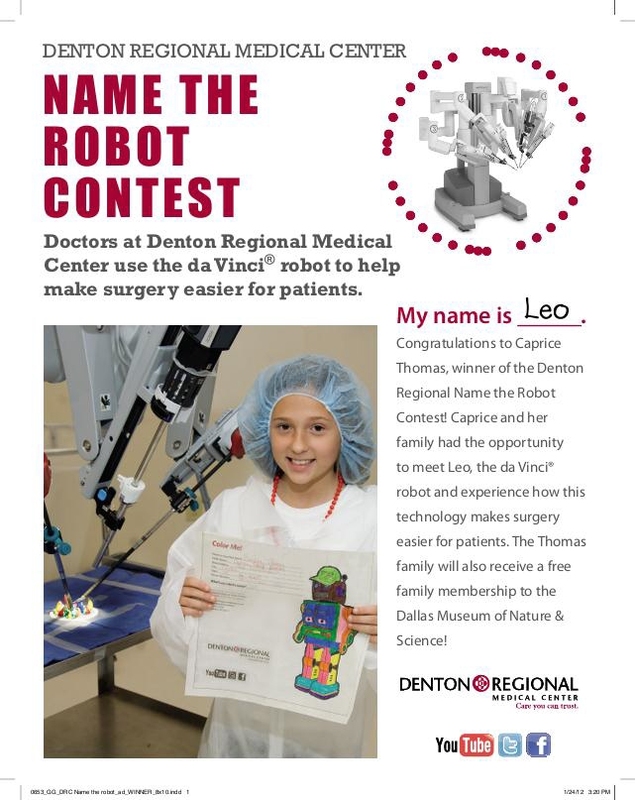 Ad announcing the winner of the Name the Robot contest. 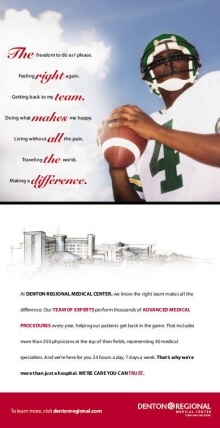 UNT Football Promotion: Scoreboard - Used as a part of a promotional event during a University of North Texas football game. 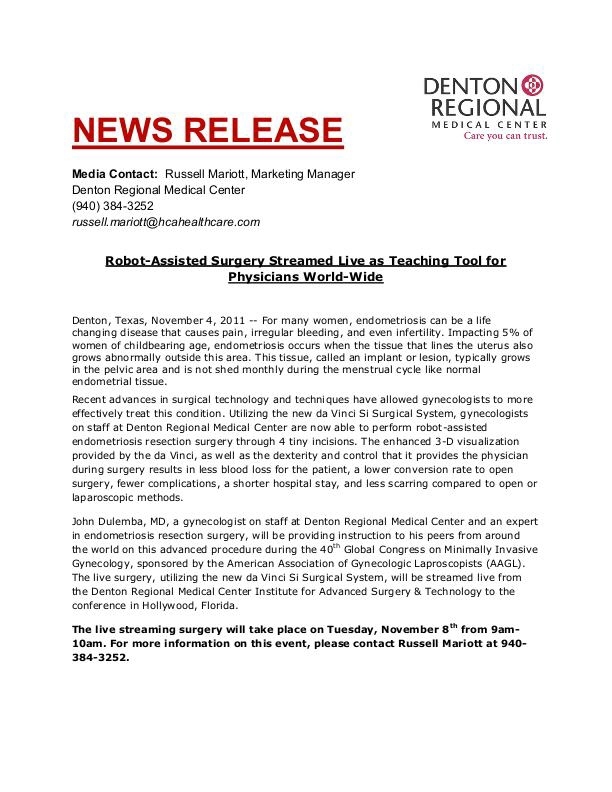 The da Vinci robot was brought to the game and fans were allowed to test drive the technology and better understand how physicians use the robot to help during surgery. 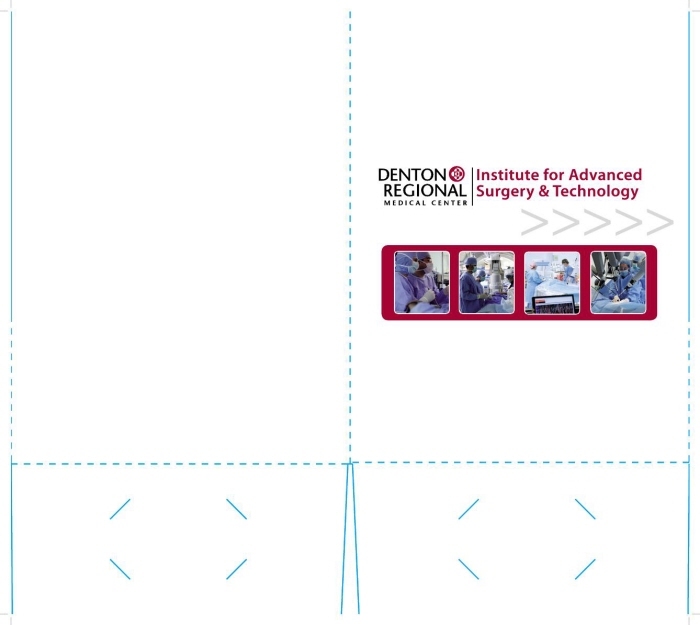 Institute folder used in various areas in the hospital related to the Institute.